5 THINGS TO DO ON LOHRI DAY! If you live in north India or are even vaguely familiar with this euphoric part of the country, Lohri is one festival you just can’t ignore. Winter celebrations reach their full-blown climax with this festival. So whichever part of India or the world you are in, drag your lazy friends out of their houses and plan your own Lohri celebrations for tonight! Here are five things you must try to get the perfect traditional folk- feel of the festival. Please don’t say you don’t know how to fly one! Look up the sky, you can probably already see a dozen kites flying. Invite your friends over and join the neighbor kids for a kite fight. And for all the first timers, try it! You are most likely to find a new hobby today. Food- the be all and end all of all Punjabi existence, quite literally! It’s the perfect season to binge onto a heavy-duty serving of Saag and Makki ki Roti. You just can’t think about anything else for dinner tonight! You should probably already be off to look for wooden logs to light up today evening. Whilst you head out to do so, do lay your hands on a few packets of Rewari, Gajaks and Moongfalis too. A cold breezy night with a comforting bonfire lit up, you will definitely need these munchies. And admit it today, we all are guilty of the good old cheat of throwing the moongfali shells into the bonfire!! 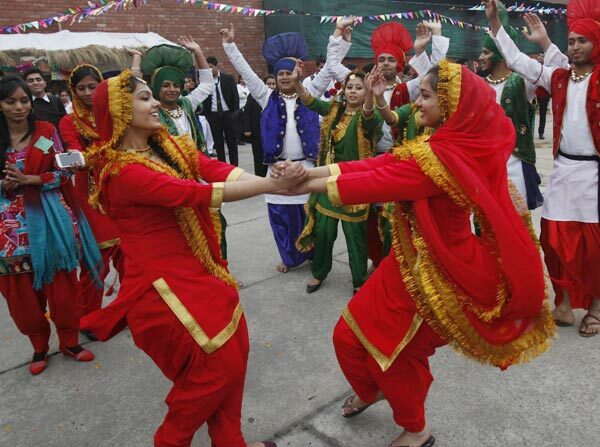 Lohri is probably one of the most fun festivals in Punjab and elsewhere. The celebrations set the perfect mood for games, tricks and pranks. You can try your own customized version of the traditional game of young children tricking for Lohri items!! Grab a dhol from somewhere or connect your ipads/phones to the speakers and dance to Bhangra beats. Always remember, you can fail matriculation but you can’t fail at the "balle balle dance"
So here goes for, Sundar Mundriye HO! Get going peeps, party tonight!! It is a great festival. Everyone feel like Balle Balle Lohri aa gyi! this is too impressive to get aware about the knowledgeable information of festival of different religion thanks for sharing superb general information. keep doing more.